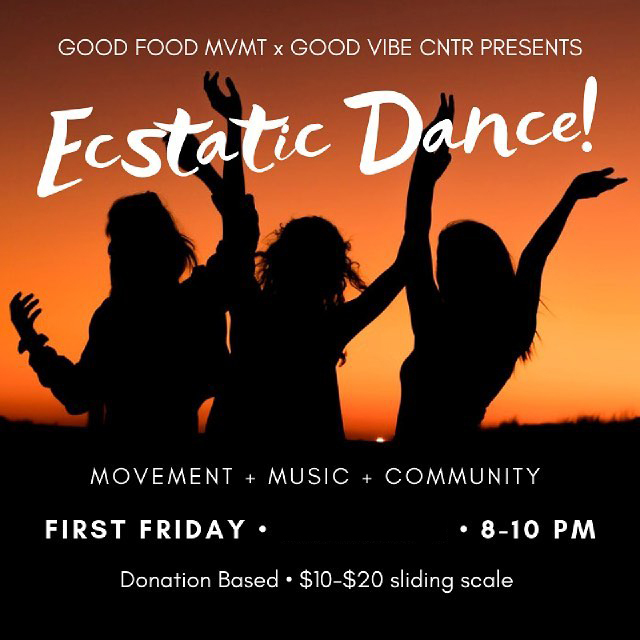 Good Food Movement presents an Ecstatic Dance Party on ever First Friday - next one is March 1st, 2019! Dance is from 8-10pm and entry is $10-20 sliding scale (please bring cash). Free healthy snacks included to nourish your movement! Ecstatic dance is a space for you to let go and dance like no one's watching. We will have a fun playlist so you can dance your hearts out. This event is for us to celebrate life and grow conscious community. Good Food Movement is making it fun to make good food choices. Good Vibe Center is a socially-conscious event space that is trying to make healthy hip. Any song recommendations? Please comment below! We had a blast at the last Ecstatic Dance and stoked to get groovy with you all again! How Can we promote a loving, sustainable, healthy, and caring society? The Naughty Vegan Studio is a place where those who share this passion can unite to help the animals, the Earth, ourselves, and the oppressed. At a time when things seem to be getting darker, why not be a little naughty, stand up, and shine some light? If you feel as we do, this is your hub for sustainability, optimism, health, art, tattoos, activism, and yoga. Let's stand together and face the troubles of the future with a commonsense plan for sustainability, starting right now. Eat well, exercise, protect the Earth, be yourself, and stand up for what is right. We can do this. If you're not getting better, then what are you getting? The Naughty Vegan Studio is Hawaii'sdestination for vegan tattoos. From our inks, stencils, razors, and aftercare, indulge in your tattoo addiction cruelty and guilt free. 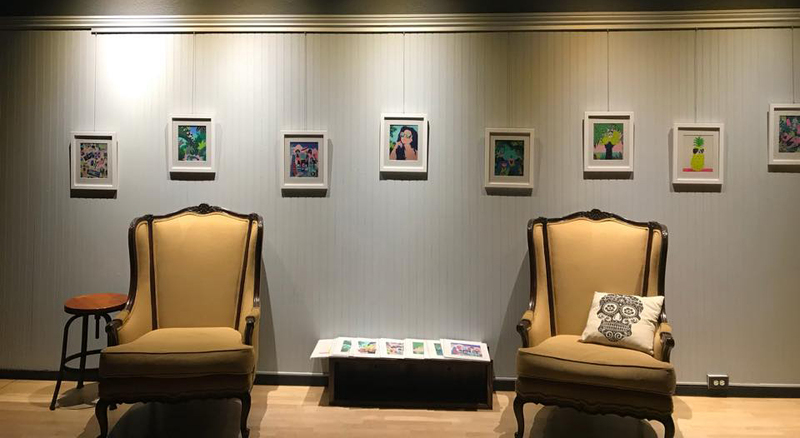 Every First Friday of the month, The Naughty Vegan Studio features talented, community-driven artist to be displayed during The Art Walk in Chinatown. Artists have a chance to show off their pre-made artwork and to create a floor-to-ceiling mural inside The Naughty Vegan Studio designed specifically for our First Friday events. 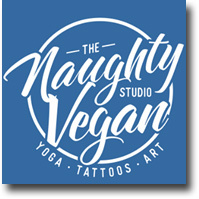 To become a featured First Friday artist, please contact mark@naughtyvegans.com with a link to your work, a contact number, which month you would prefer to be featured, and if you would like to create a mural for the event (we also accept artists who do not want to take on that challenge!). 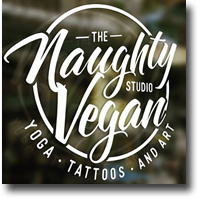 The Naughty Vegan Studio promotes a once a month yoga event. We will have the event at the studio or on the beach. Our event will be to promote the benefits of yoga and our local yoga teachers. Welcome to Honolulus number one vegan friendly tattoo parlour. The Naughty Vegan Studio is a place where those who share this passion can unite to help the animals, the Earth, ourselves, and the oppressed.